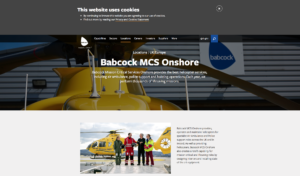 Babcock offer an EC135 Level III Flight Training Device which combines a six-axis full motion platform with high quality digital images to enhance student training. The remarkable EC135 T2 FTD is based on the full IFR Glass Cockpit version. These courses are held in the purposely-designed training facility at Company Headquarters, Gloucestershire Airport. For further information or a specifically tailored proposal for group or individual courses, please contact Babcock 01452 856007. Castle Air Academy is an approved training organisation with over 35 years’ experience, specialising in advanced training for qualified pilots. The Academy Instructors all hold the highest grades of professional licence, boasting many years of both civilian and military flying and extensive experience of flying in adverse weather conditions and challenging environments. Their instrument rating and type rating training for qualified pilots wishing to extend their skills is also second to none. The Academy is proud of their reputation for delivering high caliber training, in a relaxed and friendly environment. They set out to ensure that pilots are trained to very highest standards and their achievements are used as a benchmark across the industry. Gift Vouchers with personal messages and one to one tuition. Private and corporate charter available in the Robinson R44 and Bell 206 Jet Ranger. Ideal for pleasure flights to sporting events, such as the races, weddings, proms, anniversaries, birthdays, or any event where you would like to arrive in style. Our twin engine aircraft, AS355, can undertake night and over water flights allowing us to fly virtually anywhere in the country and beyond. This fast and efficient form of travel can save valuable time and negate the pitfalls often encountered when travelling by road or rail. 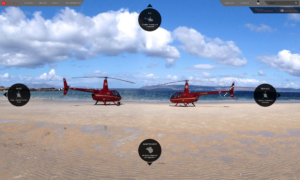 The Robinson R22, Robinson R44 and Bell 206 Jet Ranger are currently available for Self-Fly Hire. Available in the Robinson R44 and the Bell 206 Jet Ranger for business, pleasure, flights into sporting events, weddings, proms, birthdays, or any other event where you would like to arrive in style. 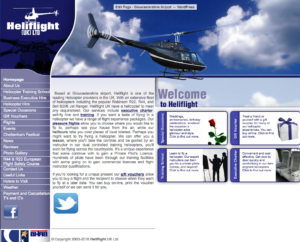 Make your special event one to remember with a Pleasure Flights Package from Rise Helicopters! Passengers enjoy a scenic flight in one of our Executive Charter Helicopters, taking off and landing directly within your own venue. A fantastic and original gift for any occasion and a perfect taster for further training. Enjoy the unique experience of flying in a helicopter – take the controls or simply sit back and admire the fantastic aerial views of the Cotswolds. 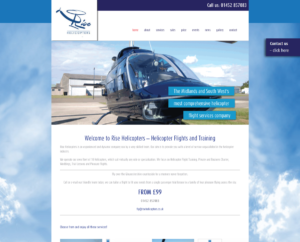 We will show you how to learn to fly a helicopter- We are CAA accredited with excellent helicopter training courses for private pilots, flight training, and night rating training. 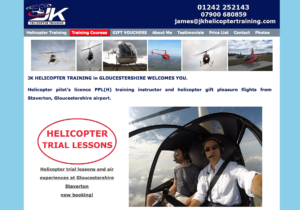 Based at Gloucestershire Airport, Staverton, we have over 23 years expertise in helping pilots to pass their PPL(H), Type Rating, Night Rating, CPL(H) and have many happy people who can recommend us as “highly skilled, quality helicopter training instructors”.